If the 7 skin method was incredible, the toner wash method I just tried over the past two weeks was mind-blowing! I’ve never thought such a small step in skincare would make so much difference. I can’t wait to share it with you! We’ll start with the results. My skin felt hydrated, plump and brightened. It had increased translucency and appeared glowy. The redness in the skin has reduced noticeably and my skin tone looked even and clear. The skin felt healthy and balanced. My oil production during the day has reduced and my makeup stays put for the entire day. I had a lot less pimples appearing and they heal without me even noticing them popping up. I probably should credit this to the toner itself rather than the toner wash method. The healing property of this toner is amazing. 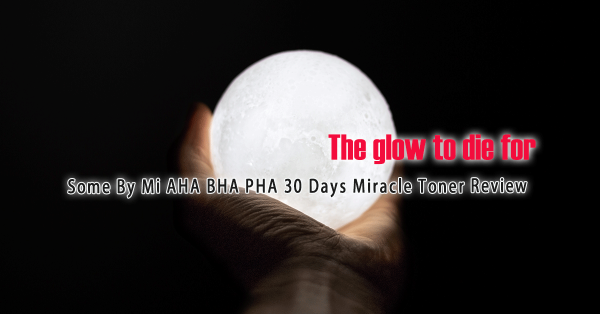 I’ve used many “healing” products but have never seen results as effective as this one. I usually get those pimples that develops bigger and bigger over 4-5 days and finally pops out if I continue to use a pimple patch. But with the toner wash method, my pimples never got large. They appear and quickly hardens then disappears. I barely notice them being there before they’re gone. I can’t rate it any higher, but you have to try for yourself. So why does it deliver such amazing results? I think it’s due to two parts, the method and the toner itself. The method uses toner-infused water to cleanse the skin instead of water. This has two benefits. One is that the toner wash is able to melt away the excess oil your skin, but will not take away your natural oils. This is unachievable by any cleansers, even the mildest and most non-stripping cleanser will strip more than a toner wash. Secondly, the toner contains oil and hydrating agents itself, which means while cleansing, you’re moisturising the skin at the same time. After cleansing, the toner leaves a protective layer on the skin, preventing any moisture loss. Did you know that the minute your skin leaves water, it starts to lose moisture to the environment? That’s why there is the 2-second rule where you need to apply your toner within 2 seconds of towel drying your face. This minimises the moisture loss of your skin. But with toner wash, this problem is solved. Your skin is always protected and there is no moisture loss at all. Now onto the toner. 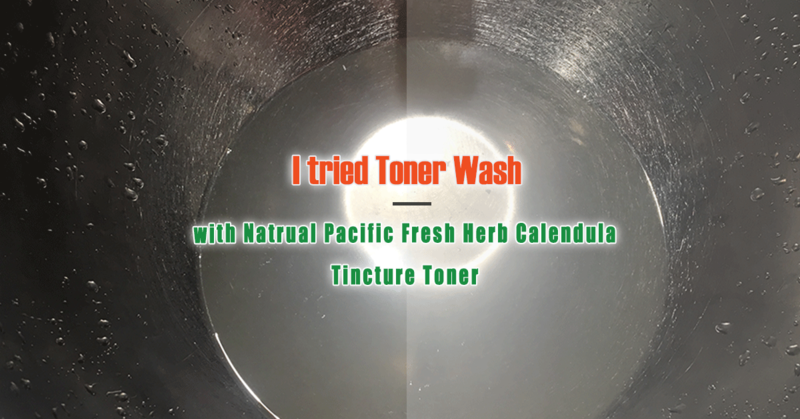 The toner that I used was the Natural Pacific Fresh Herb Calendula Tincture Toner, which is how I got to know this method. The tincture toner is a concentrated solution of 90% Calendula Flower Water, which is highly effective at soothing and healing. This explains why I had reduced breakouts and the pimples were healing so much quicker. I mix 1 glass of tap water with 1 cap-full of the Natural Pacific Fresh Herb Calendula Tincture Toner and stir it with hands roughly to mix together. Then I simply use both my hands to pick up the mixture and rub my face until my face feels clean and towel dry. Natural Pacific recommends 2 glasses of water with 2 cap-full of toner, but I found this would finish the toner too quickly and become costly. In the morning, I replace my normal soap cleansing with the toner wash, then apply the Natural Pacific Fresh Herb Origin Serum and follow with base makeup. At night, I added the toner wash step in between my second cleanse and my regular toner, then follow with rest of my skincare. I think it’s not too important what kind of concentration you’re using it at or whether you follow with a regular toner, you can certainly adjust those to your liking. Of course, don’t be too stingy that you lose the effects altogether. The reason I don’t cleanse with a soap before using toner wash in the morning is because I don’t find it necessary. The toner wash removes sufficient oil that’s built up during the night. 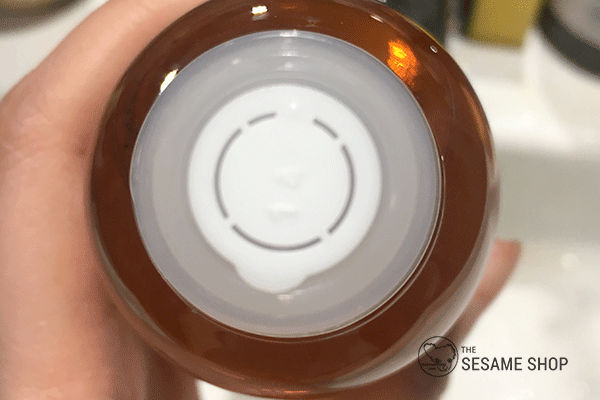 You’ll find the water turns milky when it mixes with your natural oil. Ideally twice a day. I saw much more noticeable results when I used it twice a day compared with once a day. I’ve started with twice a day (morning and night) and reduced it to morning only because I was going through the toner like crazy and it’s not cheap. When using twice a day, the full bottle of toner would have lasted me about 1.5 weeks. So if your skin is in a not so great condition, I would definitely recommend twice a day. You can reduce the usage once your skin has gotten better and use the method once a day to maintain its condition. That’s all I wanted to share about the toner wash method, if you have any questions, feel free to leave it down below. I highly recommend trying out the method. It’ll truly improve your skin’s condition in all directions. 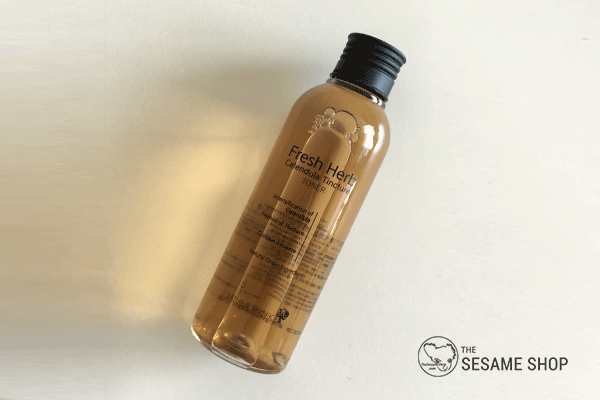 The Natural Pacific Fresh Herb Calendula Tincture Toner comes in a clear hard plastic bottle. The bottle is sturdy and simple, but nothing else. I kind of wish it had a volume scale on it so I knew how much I was using per day. It has a stopper at the opening, which is nice. Maltodextrin – starch like food additive – It’s probably a thickener here. Benzophenone-5 – UV absorber – for preserving the longevity of this product. It has a very nice citrus (orange/mandarin) scent. I don’t know what calendula smells like, but I assume the scent is the smell of calendula. It is a dark yellow transparent liquid. The texture is like a regular toner. Slightly heavier than water but still flows very well. It feels slightly slippery when spreading out and slightly tacky after massaging into the skin. The tackiness disappears after a few minutes when skin is dried. As a toner wash, it makes the water slightly more slippery. But it felt extremely gentle and comfortable on the skin. I used the toner wash to wash my eyes and it didn’t sting at all. I used it as a toner wash. Refer “The Method” section above. Hydrated, brightened, smooth and plump skin. Incredible healing properties with this toner. Refer “The Results” section above. The Natural Pacific Fresh Herb Calendula Tincture Toner retails for 24,000 Won which is about $30 AUD for 200ml of product. It’s not particularly expensive for what it is (Kiehl’s equivalent is about $54 AUD for 250ml), but when used as a toner wash, it gets used up pretty quickly. The healing capability of this toner is incomparable by any other products I’ve used. I loved the toner wash method. It has transformed my skin to a much better state in all directions. Although the toner wash method can get quite costly due to the amount of toner it uses per application, it’s worth every penny. That said, I’ll continue to explore other effective ways of using the toner other than the toner wash method. 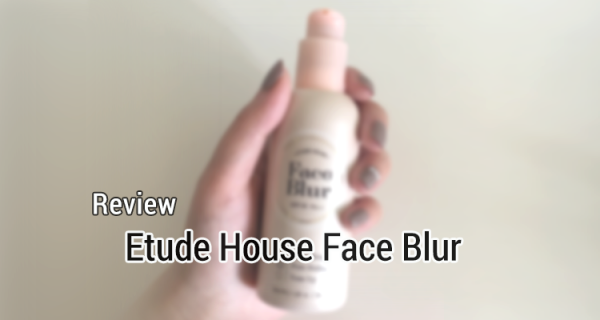 This entry was posted in Skincare and tagged anti-aging, brighten, radiant, toner, toner wash.